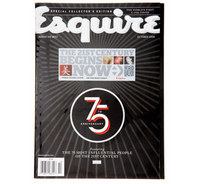 • The 75th Anniversary issue of Esquire magazine makes history with the first-ever digital cover. 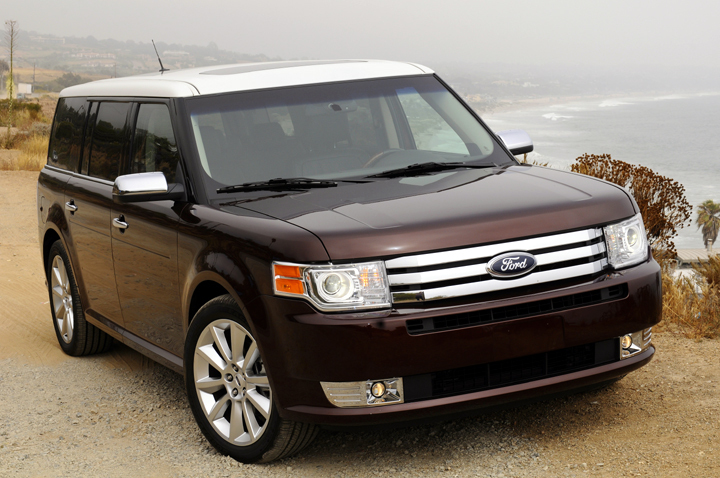 The inside front cover also uses moving electronic imagery to showcase the new 2009 Ford Flex. • With its futuristic design and advanced technologies, the Ford Flex connects perfectly with the theme of Esquire's 75th Anniversary issue, "The 21st century begins now." DEARBORN, MI - September 9, 2008: In celebration of its 75th Anniversary, Esquire Magazine and the new Ford Flex make publishing history with the first-ever digital cover yesterday. The magazine merged print and electronic technology in a first-of-its-kind electronic cover that represents the best-in-class technology available from the Ford Flex crossover. The ground-breaking cover of the October issue of the magazine and the double-page advertisement for the Flex inside the front cover of Ford's newest crossover "electrifying the night" give the illusion of moving words and images, courtesy of flexible electronic display technology produced by E Ink, the same company that developed the technology used in Amazon.com's e-book device, the Kindle. The display provides an exceptional reading experience on an electronic screen that looks and feels like paper. "This cover is both a breakthrough for magazines and an expression of the theme of our anniversary issue," said David Granger, editor-in-chief, Esquire. "The entire issue of the magazine is devoted to exploring the ideas, people and issues that will be the foundation of the 21st century," he said. With its futuristic design and cache of advanced technologies, the new Flex fits in perfectly with the forward-thinking concept of the magazine, "The 21st Century Begins Now," according to Jim Farley, Ford Group Vice President of Marketing and Communications. "Flex is a breakthrough vehicle for Ford, and the Esquire opportunity offered us the chance to show the vehicle in a way we could never previously have imagined. This is an industry first for both brands," he said. "Ford has a long and rich history of breaking down barriers and bringing to market new technologies for the masses, so this opportunity fits our brand perfectly." Both Flex and Esquire are changing the faces of their respective industries, according to Usha Raghavachari, manager, Ford Crossover Marketing Communications. "The Esquire E Ink magazine showcases technology that is changing the media landscape," she said. "Flex offers similar game-changing technology, such as SYNC and SIRIUS Travel Link, which is clever enough to find you the cheapest gas in your area and direct you to that filling station. Flex is a daring type of vehicle that comes to life when you see it moving," said Raghavachari. "Our target customers like both print and digital communications and this is a really cool way of bringing the two media together." Esquire will distribute 100,000 issues with the special cover - each with a built-in battery that will keep the display active for as long as six months -- on newsstands. The magazines are available at Borders, Barnes & Noble and select newsstand vendors. The Esquire ad is the latest in a series of unique marketing efforts designed to communicate Flex's distinctive personality which includes a heavy emphasis on experiential marketing, as well as initiatives with companies including Apple and Xbox. "This is not an ordinary marketing campaign," said Raghavachari. "This is more of a brand campaign designed to give Flex an identity." The Ford Flex is like no other vehicle on the road, with its signature side grooves, all-black greenhouse and distinctive multi-panel vista roof. It offers spacious seating for up to seven passengers and a host of class-leading technologies, such as an integrated refrigerator between the second-row seats; SYNC, an advanced in-car system developed by Ford and Microsoft that voice-activates Bluetooth-enabled mobile phones and MP3 players; EasyFuel(TM) capless fuel filler; ambient lighting and a reverse camera system. SIRIUS Travel Link is available as part of the vehicle's voice-activated navigation system. It provides users with a suite of data services, including continuously updated fuel price information for more than 120,000 gas stations, sports scores and weather reports. Flex ranks among the best in its class for fuel economy, delivering an impressive 24 mpg on the highway. Pricing for the vehicle starts at $28,895, including destination. Esquire, published by Hearst Magazines, was the winner of the 2007 National Magazine Award for "Reporting" and the 2006 award for "General Excellence," and is the most-honored monthly magazine in America with a total of 19 awards. Readers can also interact with the brand on the digital front, with Esquire mobile (m.esquire.com). In addition to its U.S. flagship, Esquire publishes 16 editions around the world. Hearst Magazines is a unit of Hearst Corporation, one of the nation's largest diversified communications companies with interests in magazines, newspapers, digital media, business media and television. As one of the world's largest publishers of monthly magazines, Hearst Magazines has nearly 200 editions around the world, including 18 U.S. titles and 20 magazines in the United Kingdom, published through its wholly owned subsidiary, The National Magazine Company Limited. Hearst reaches more adults than any other publisher of monthly magazines in the U.S. (77.4 million total adults, according to MRI, fall 07). Through its digital media unit, Hearst Magazines operates 18 web sites and nine mobile sites for brands such as Cosmopolitan, Esquire, Good Housekeeping, Marie Claire and Seventeen, as well as non-magazine brand sites such as TheDailyGreen.com, MisQuinceMag.com and MyPromStyle.com. In 2007, Hearst Digital acquired the eCrush Network, Kaboodle.com and RealAge.com to round out its growing portfolio of interests for teens and women.